Individual school photos are a vital part of growing up. They create memories that will last a lifetime. That's why I always ensure I get the best possible happy photo from every child! I offer a range of packages, prices and commission, tailor made for every school. To find out more please get in touch . Another important part of school photography is class photos. From teams to class groups, Hardy's School Photography has the experience and skills to create fantastic group photos that can be cherished forever. Be it contemporary groups, traditional groups, leavers packs or whole school photos, I am able to supply options to suit every school. To find out more please contact here . 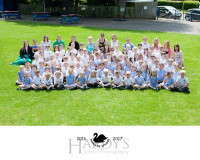 Hardy's School photography also offers a full scale school and year group photo service. We have a range of styles options and packs including the use of staging if required. 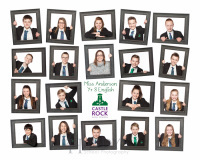 Whole year or school photos often make a perfect leaving gift for middle and secondary schools. To find out more please contact here .